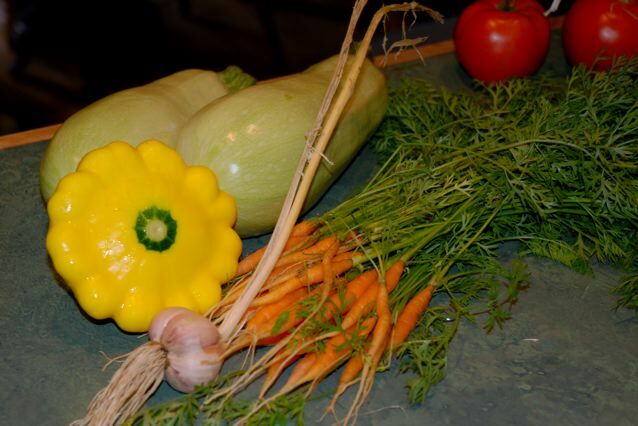 “I used one green zucchini (this light green variety is nice and buttery) and the yellow scallopini squash, both seeded, along with an onion, garlic fresh from the garden and most the carrot in the photo. The carrots are thinnings. 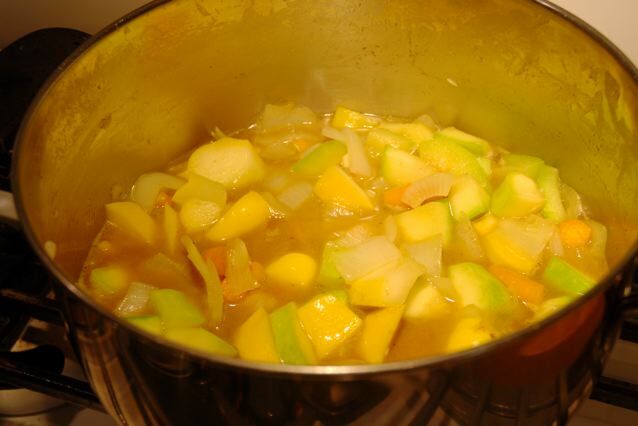 After softening off the onion and squash, I added a bit of curry powder and some green Thai curry paste.Then I used two vegetable bouillon cubes/ water instead of stock – not again as this is too salty. I didn’t taste the buttermilk until after adding, and it too is salty, so next time I think I would skip the stock. I have now pureed it and it is chilling. It is a pleasant soft gold colour. I will garnish with a swirl of plain yogurt (less salty!) some fresh mint leaves and a tiny spoon of mango chutney. I think this soup would work with coconut milk instead of buttermilk if cooking for a vegan”. 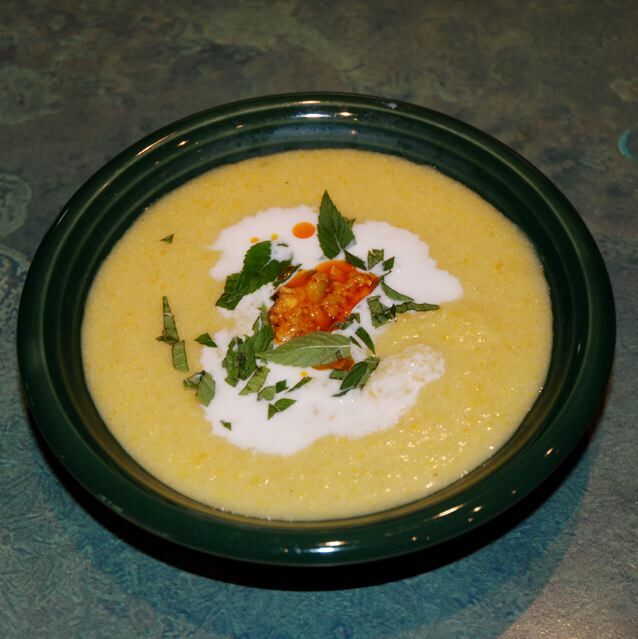 This entry was posted in Little help from my friends, Soup, Vegetarian and tagged cold soup, food, recipe, recipes, soup, squash soup, zuchini soup. Bookmark the permalink. Penny is my friend and I have often eaten her delicious soups when she brings them for our quilting group. So pleased to see her featured in your blog. I have been enjoying your blog for a few months!